When thinking about where to spend your Christmas, usually we fall into one of two thoughts, a place that is warm and sunny, or a place that is cold, snowy, and completely embodies an old-fashioned Christmas. If you are looking for the latter, a Christmas in Pennsylvania will be at the top of your list. There are so many things to do here in Pennsylvania in the winter and during Christmas it will be hard to decide on what to do while you are here. We at Ledges Hotel love having guests come for some of the winter season as well as Christmas. 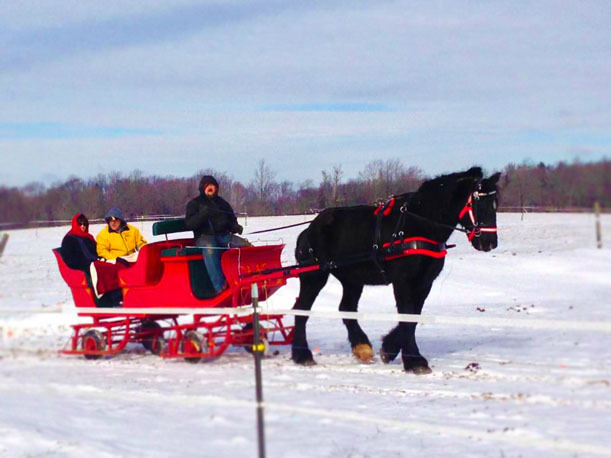 Here are our some of our top recommendations on how to spend your Christmas in Pennsylvania this year. The biggest event in Hawley during Christmas is our annual Winterfest. This year it will be December 12th-14th and will showcase everything that could put you in the mood for a Christmas in Pennsylvania. Some of the events that will be going on will include, beer tours, live music, extended shopping hours (with goodies in the stores! ), crafts, an artisan fair, house tours, a Christmas show, and of course Santa will be there. This is a huge, community-wide event that locals and visitors from near and far love coming to every year. If you are looking for a quick day trip from Hawley to experience another magical Christmas in Pennsylvania town, be sure to go to Jim Thorpe, PA. December 5th-7th and 13th-14th, the town of Jim Thorpe will come alive with the Christmas spirit. There are so many things to do during the weekend, here are some of the highlights, train ride with Santa, live nativity, gingerbread house contest, strolling carolers, as well as expanded shopping hours to make sure you find the perfect present for your friends and family. Take your time while you are there, there is a lot to see. An added bonus is that there will be some great dinner specials at area restaurants. One of the best ways to spend Christmas in Pennsylvania is to be outside. The weather is invigorating, cold, and beautiful. The first, and very romantic, way to spend some time outside is to take a trail ride with Happy Trails Riding. Not a fan of riding on your own? That’s ok, they offer sleigh rides as well. Be sure to check out their site and see what would work best for you. If you would like to discover the sights of the Pocono Mountains, the best way is to hit the trails. There are some amazing snowshoeing and cross country skiing trails available during this time of year. The closest is right in Hawley at Ledgedale Natural Area Trails. This has 80 acres of woodlands for you to discover. 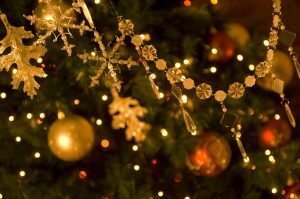 When visitors come to Hawley during Christmas, the prefer to stay with us at Ledges Hotel. We have different room sizes for all groups, ranging from something simple for couples all the way to two bedroom suites for larger groups. We offer some of the most breath taking views of the gorge that some visitors enjoy staying outside on our decks for as long as they can. Ready to spend your Christmas in Pennsylvania with us? Contact our awesome staff today to book a trip to see a beautiful traditional Christmas here in Hawley.